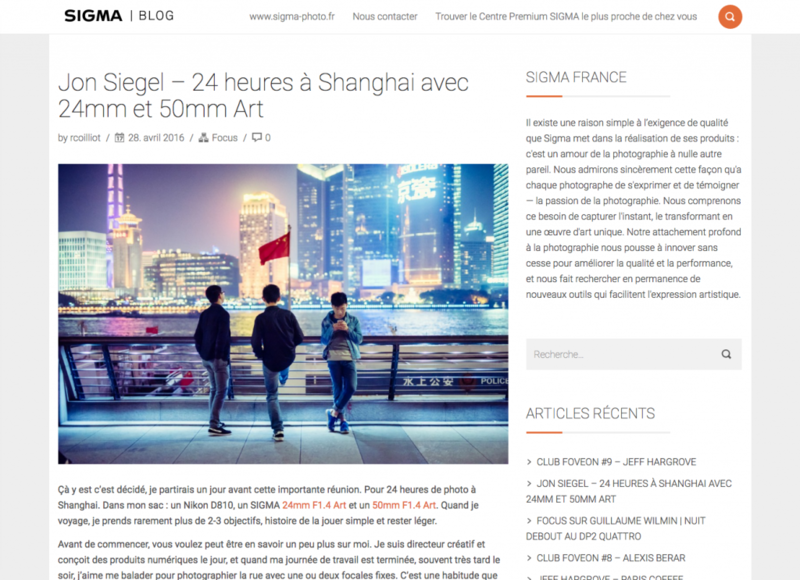 About a month ago I was invited by Sigma France to write on my experience shooting with Sigma lenses. I travel frequently for work and thought it would be fun to write about shooting only with Sigma lenses for a day in Shanghai, China. So I went a day earlier to a business workshop to do it and prepared a nice selection of shots to share with them. They translated my writing to French and published it here. Thanks Sigma! I love shooting with Sigma’s ART series lenses. The 50mm f1.4 ART is one of my favorites. What an amazing lens.